Carbon monoxide detectors cost under $25. Shown here is a plug in Kidde detector which sells for $23 on Amazon. Carbon Monoxide Detectors are required to warn when inside air becomes toxic. 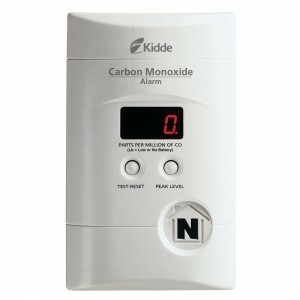 A carbon monoxide detector is nothing much more complicated than a smoke detector, except that it is calibrated to alarm at the presence of carbon monoxide, not smoke. People die from carbon monoxide poisoning. Those who don’t may be left disabled for life. Even those who manage to go back to work and some semblance of normal function can look forward to increasing difficulty as they age. All of that to avoid the $23 cost of a carbon monoxide detector. Any establishment that didn’t install carbon monoxide detectors should be held liable for all death and injury, regardless of whether there is a specific state statute requiring detectors. There is a growing movement to require them in all hotel rooms with states having past such laws.